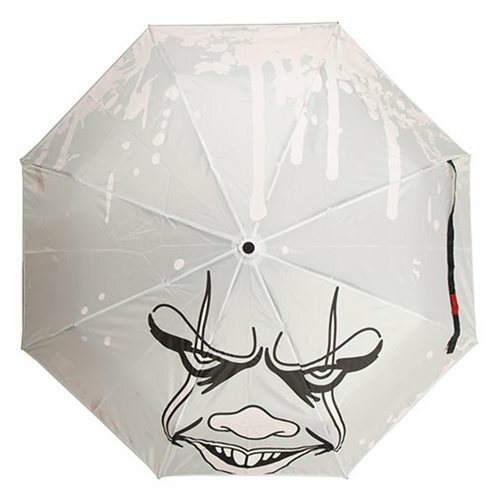 Don't get caught unawares like Georgie the next time it rains. 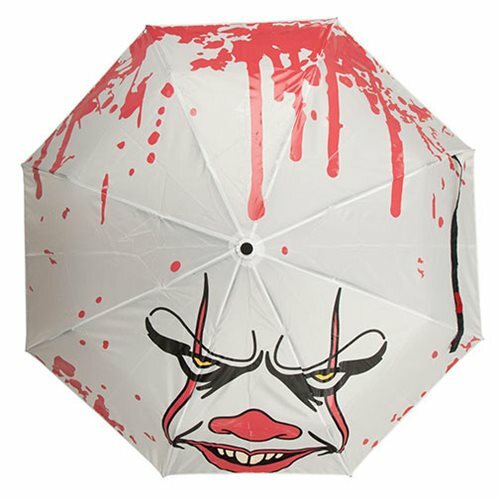 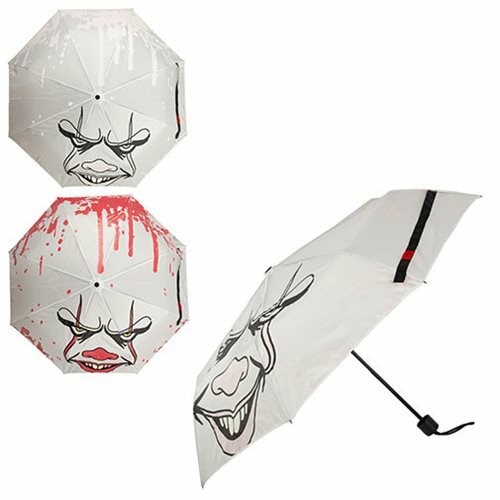 This IT Pennywise Face Liquid Reactive Umbrella features Pennywise's face on a white backdrop when dry, but reveals a haunting blood splatter once wet. 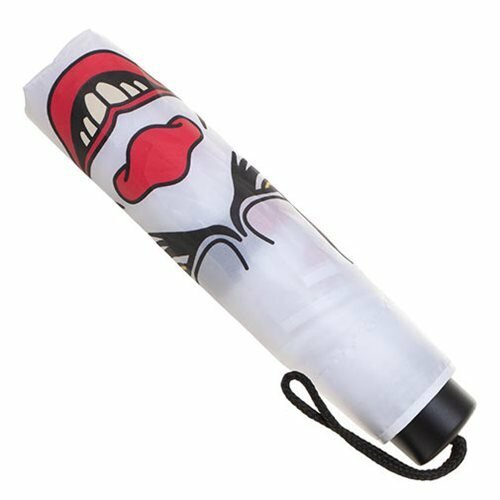 Featuring a compact design, sleeve, and wristlet lanyard, it's easy to carry around next time you're running from a murderous space clown. 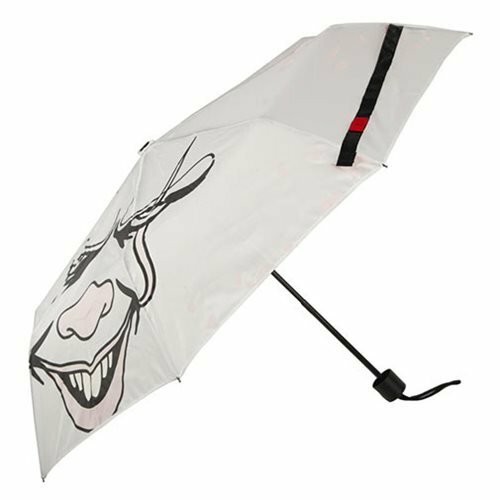 When open, the canopy measures approximately 32-inches wide.